Plan a cross-country road trip through various U.S. state capitals. First choose a vehicle to drive, and then fill up the tank with gas and go! Find the range and gas mileage of each vehicle, and discover the shortest path between two cities. Calculate the gas mileage of a car based on how far it goes and how many gallons of gas are used. 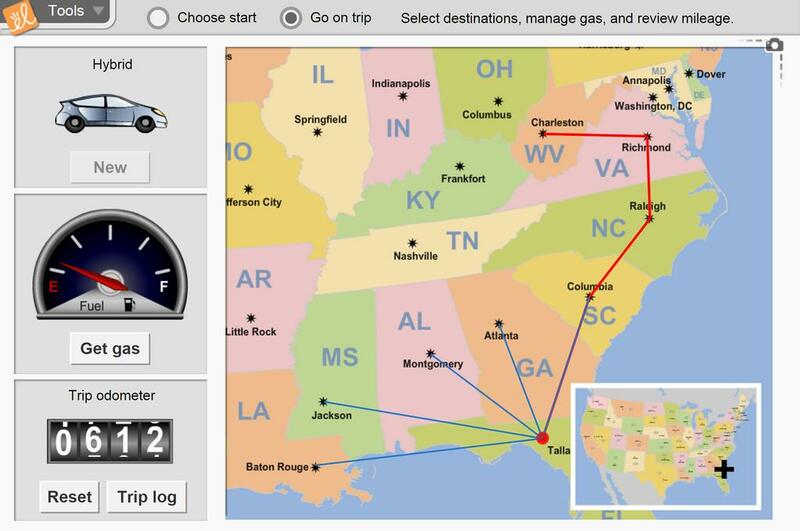 Collect data to compare the gas mileage and range of different cars. Use a map to find a route from one city to another. Plan a budget for a road trip. Word problems are difficult for everyone, make it fun using this Gizmo.